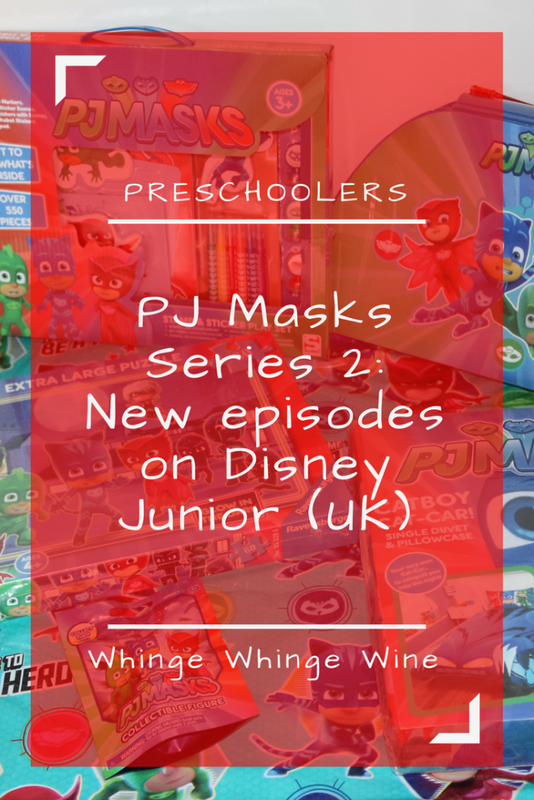 We are huge superhero fans in this house and PJ Masks is a firm favourite and we we were really excited to find out that PJ Masks series 2 is coming to Disney Junior on Wednesday 28th March! The new PJ Masks series will be kicking off with a double header at 4.30pm, so if you have little Gecko, Catboy or Owlette wannabees then be sure not to miss it! New episodes of the second series of PJ Masks will then be shown every Wednesday at 4.45pm on Disney Junior. To celebrate the new series, we were asked to hold an exclusive screening party, showing the first two brand new episodes from PJ Masks series 2. 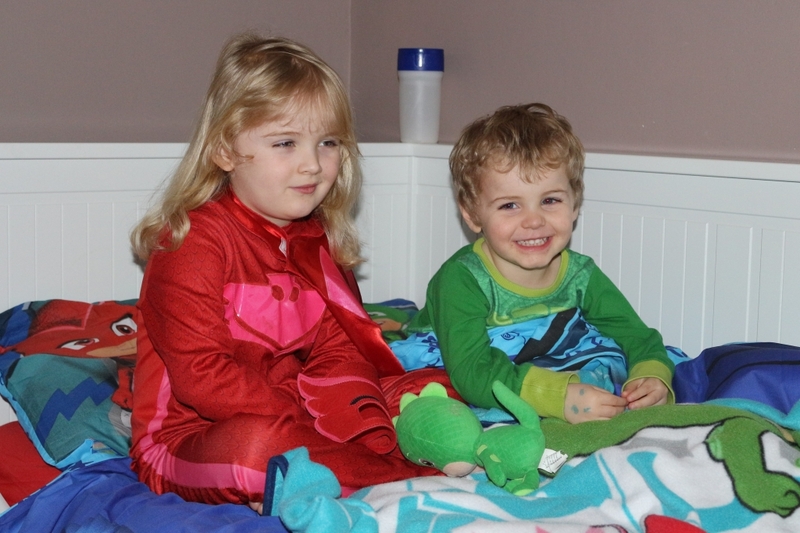 Sadly, as anyone following my social media would be aware, we are all currently sick and the kids are off preschool with various temperatures, croupy coughs and colds so the viewing party was down to us three, and took place in bed (in their PJ Masks PJs, of course)! 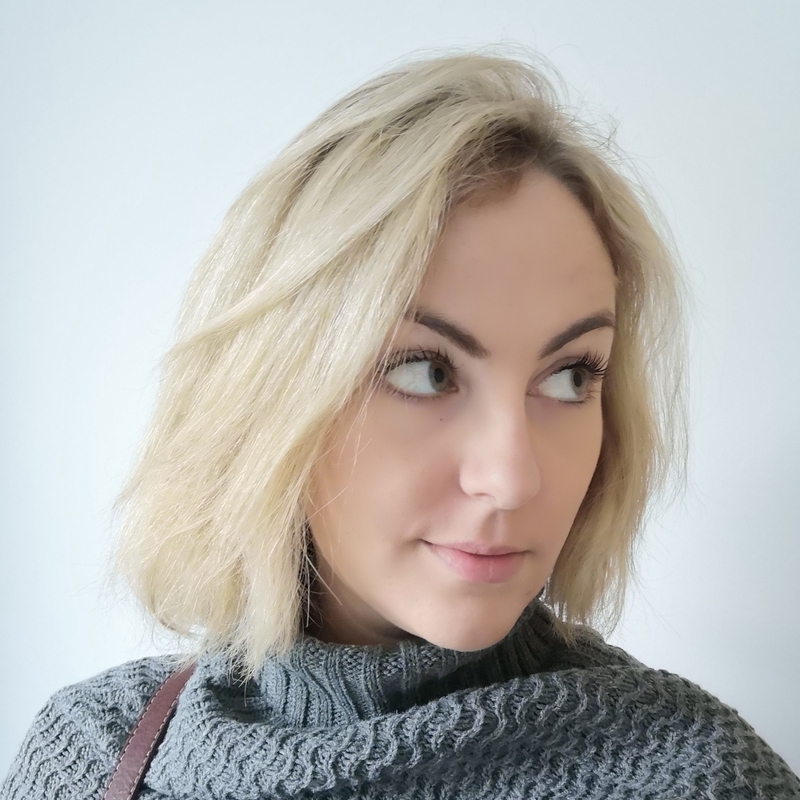 In Moonfizzle Balls, Lunagirl has moonfizzled the town. Touching her moonfizzle balls puts people into a trance, making them forget who they are and worship the moon! 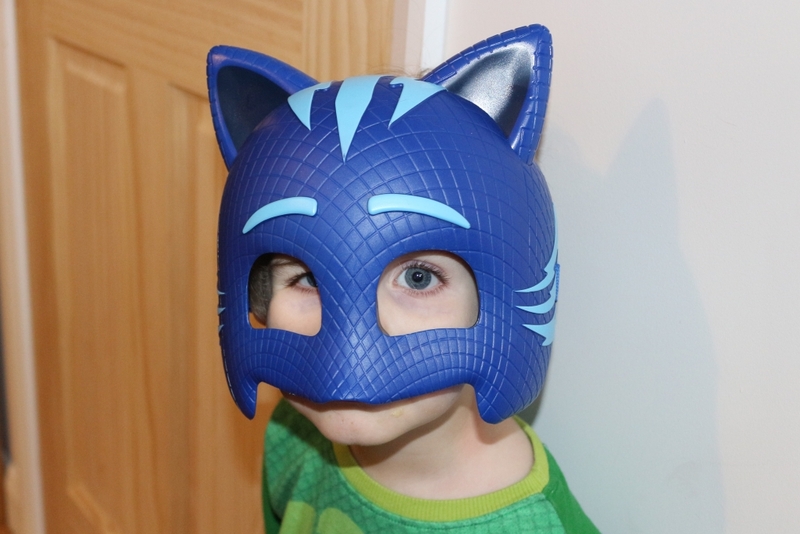 It’s down to the PJ Masks to collect all the balls… But two of them get hit and it’s down to Catboy to save the day! In episode 2, Soccer Ninjalinos, the Ninjalinos plan to splat the city – even the school! Can the outnumbered PJ Masks beat Night Ninja and the Ninjalinos and save the town from sticky splat? My two loved the new episodes and demanded to watch them twice; we will definitely be looking out for the rest of the new episodes in PJ Masks Series 2! 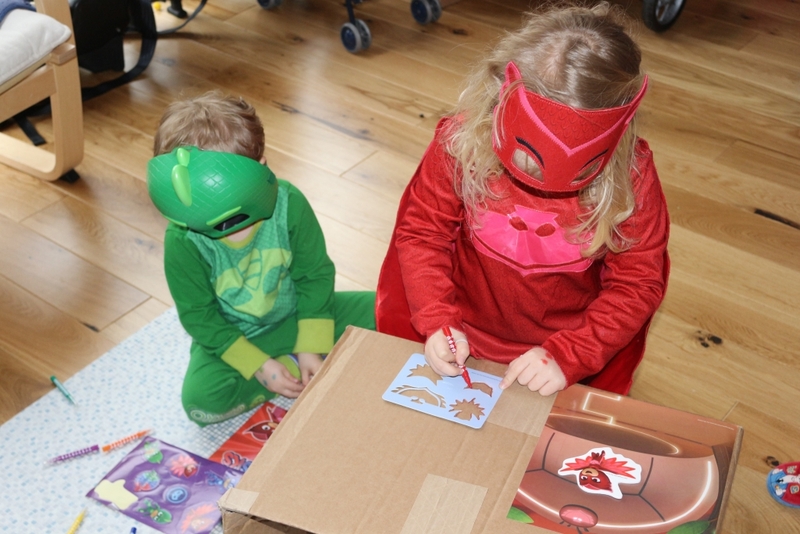 We were also sent an exciting package full of PJ Masks toys and goodies! 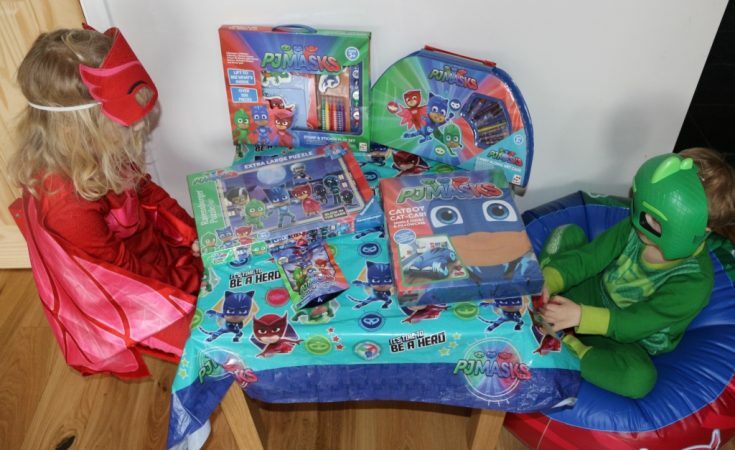 This included the Catboy Catcar duvet cover and pillow set seen above (RRP £29.99) and the inflatable PJ Masks chair below (RRP £9.99); perfect bedroom accessories for the small PJ Masks fanatic! 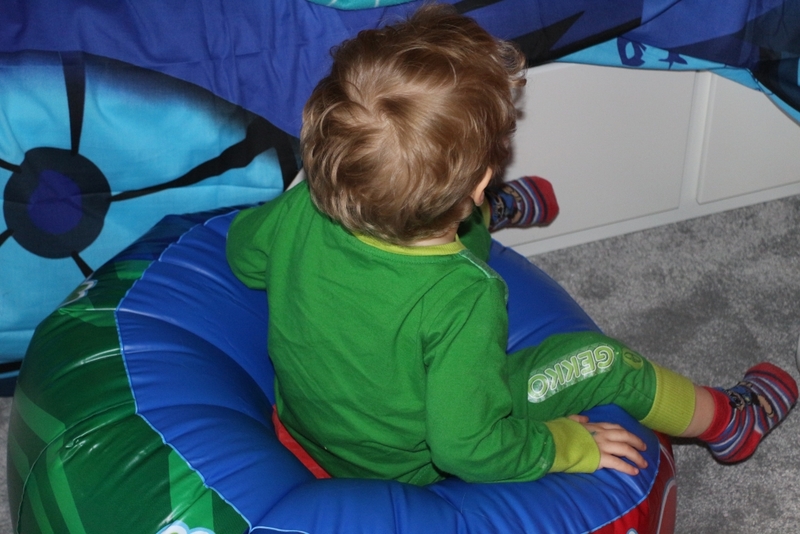 I admit that it took me a while to figure out how to inflate the chair, but giving in and using a pump worked and he has taken it up and down the stairs to sit on wherever he chooses ever since. There was also some amazing partyware which thanks to our lack of party, we will be saving until the small one’s 3rd birthday! 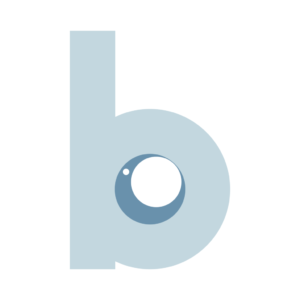 It can be purchased from various shops including Amazon. Any parent who has ever been stuck in with ill children will tell you that crafting is a godsend (I know, I know, I sound mad) but the Carry Along Art Case (RRP £7.99) and Stamp and Sticker Set (RRP £4.99) came in really handy for those looooong days we were stuck indoors! The kits are available from supermarkets and high street stores including WH Smith and Sainsburys. There was also a PJ Masks blind bag collectible (RRP £3.99 – we got Gecko! ), and a pair of 3D masks which retail at £9.99 each and can be bought from Amazon here. There was even an extra large 60 piece glow in the dark PJ Masks jigsaw puzzle. 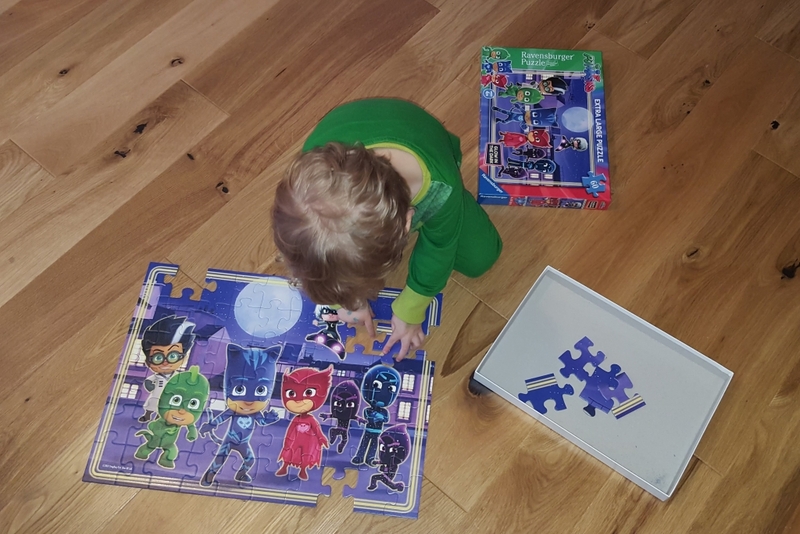 This jigsaw puzzle was destined to be a firm favourite; a Ravensburger 60 piece jigsaw aimed at ages 4+, it was put together by my puzzle-obsessed two year old in 15 minutes and he’s done it again and again since. It will be a great addition to our rapidly expanding jigsaw collection. With an RRP of £7.99 and available on Amazon currently at under £5 it’s also a bargain! If you have a little PJ Masks fan then don’t forget to check out the new PJ Masks Series 2 episodes on Disney Junior at 4.30pm on 28th March 2018, and every following Wednesday at 4.45pm. Thanks to EOne and License to PR for giving us a sneaky preview, and for providing such a great goody bag. The children are genuinely thrilled. Of course, all words and pictures are mine. 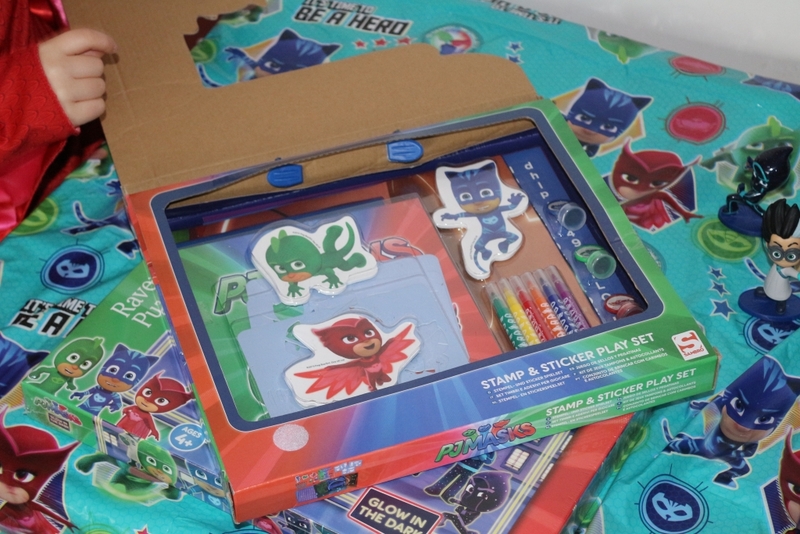 Would you like to win a fab PJ Masks bundle including a blind bag, Owlette 3D mask, Carry Along Art Case and partyware? 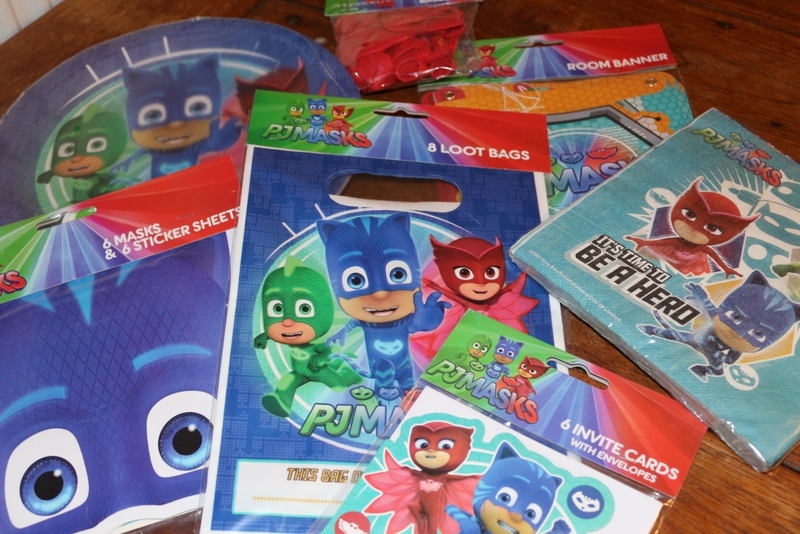 Win a PJ Masks bundle! what a fab prize. 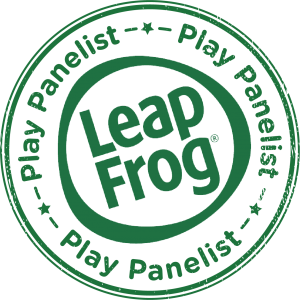 my little man has been saying gecko over n over again while i enter the competition. pj masks is one of his favourite tv programs. hes non verbal so been lovely hearing him speak.